The Incredibles Family is inviting you to join them in this awesome adventure. In this Incredibles bounce house, they're not undercover anymore and their only priority is protect the world at the entrance to this Incredibles Bounce House. So, come on! 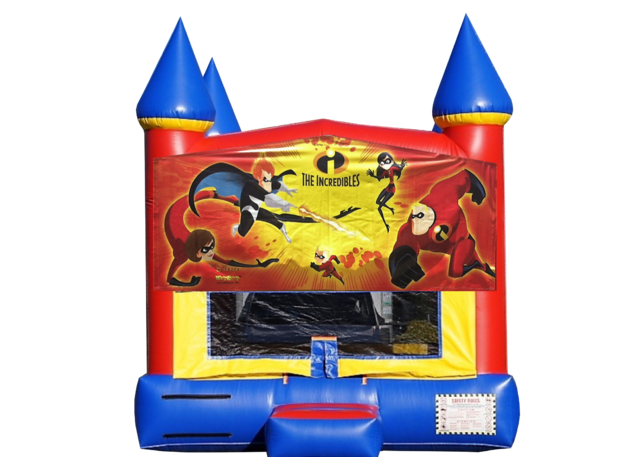 Join The Incredibles on their bouncy adventures. Rent an Incredibles Bounce House from many Disney party themes that we have in inventory, add a inflatable slide or an interactive game for maximum excitement!